Want to know more about the Stephanie Graegin, the illustrator? Read this excellent interview on Seven Impossible Things Before Breakfast! A new book for children about cooperation and teamwork. Thomas wants to build the biggest and best snowman ever. He needs a helping hand—or a helping paw. But little bears love to hibernate on snowy winter days. How do you wake up a snoozing bear? By tickling it? Singing to it? Making the bear’s favorite snack? How to Build a Snow Bear—a sequel to the Ladybug Picture Book Award nominee How to Share with a Bear—is a story about two siblings sharing a wondrous winter day. Read an interview with the author at the VCFA Launchpad. 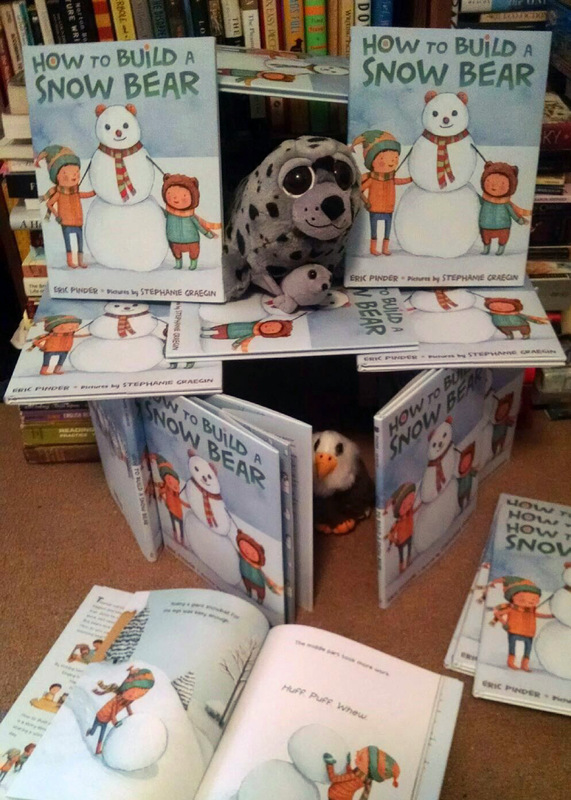 If there’s no snow for snow caves, you always build a book fort instead.